William & Mary's first freshman phage lab has demonstrated what possibly is the straightest learning curve known to science: zero to co-authorship in a peer-reviewed journal in under three years. Along the way, there was discovery of a form of life previously unknown to science - an organism which is now being examined as a possible biological tool to combat tuberculosis. It started in fall 2008, a freshman lab section devoted to the study of a group of viruses known as bacteriophages. William & Mary was one of 12 universities selected by the Science Education Alliance of the Howard Hughes Medical Institute to participate in the first year of an initiative designed to re-invigorate science education by introducing the youngest college students to an authentic research experience. Each of the students in the year-long phage labs collects, isolates and analyzes a phage. One from the group is submitted to a commercial lab for genomic sequencing. The faculty involved say the publication of a paper in a peer-reviewed journal underscores the success of the teaching-through-research principle. In January, participants in the 2008 inaugural phage lab joined their collaborators—including their three faculty mentors—as co-authors of a paper in the peer-reviewed journal PLoS One. 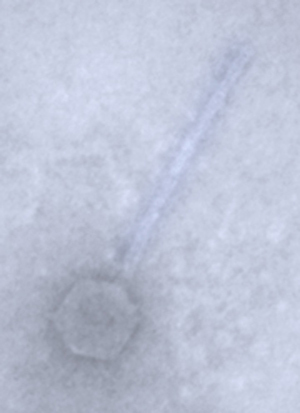 The paper is an examination of the genomes of bacteriophages studied by the inaugural HHMI phage labs. It includes characterization of CrimD, the new phage discovered and isolated from the muck of William & Mary’s campus landmark Crim Dell by the first phage lab. William & Mary’s student authors on “Expanding the Diversity of Mycobacteriophages: Insights into Genome Architecture and Evolution” are Hilary M. Whelan ’12, Kobie C. Gordon ’12, Samuel E. Harvey ’12, Arrykka S. Jackson ’12, Molly J. McDonough ’12, Allison M. Perz ’12 and Jillian M. Walton ’11. Forsyth is one of the faculty authors, along with Chancellor Professor of Biology Margaret Saha and Assistant Professor of Biology Kurt Williamson.